Modern methods of hair removal have recently become the most popular in the cosmetics market. 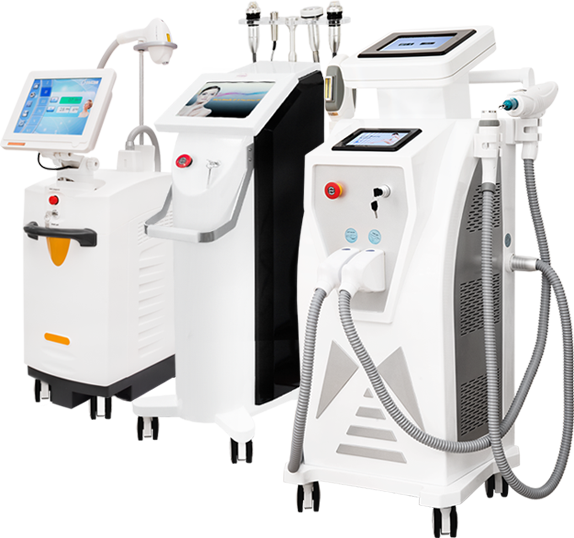 Our company offers you state-of-the-art cosmetic and medical lasers for beauty salons and esthetic clinics. 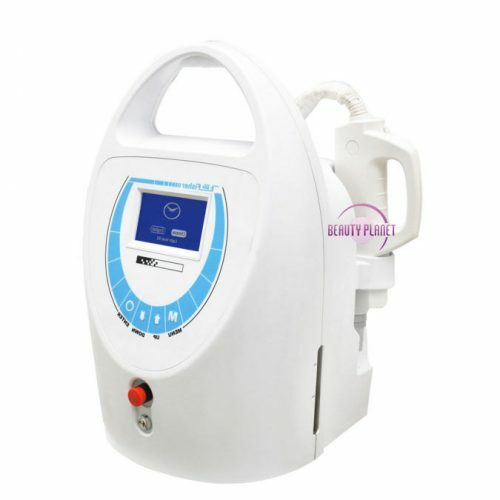 The device recommended by us offers an effective and painless epilation. 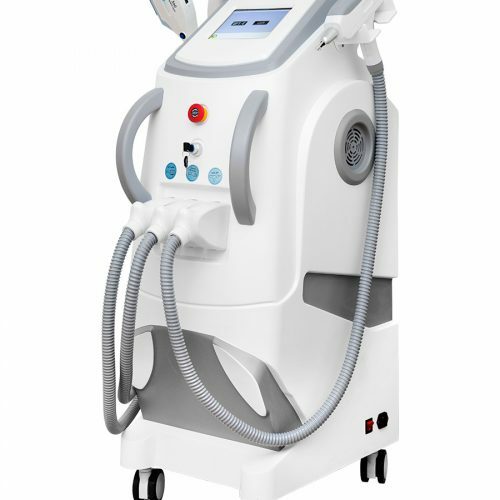 The Invictus diode laser is one of the best hair removal devices. 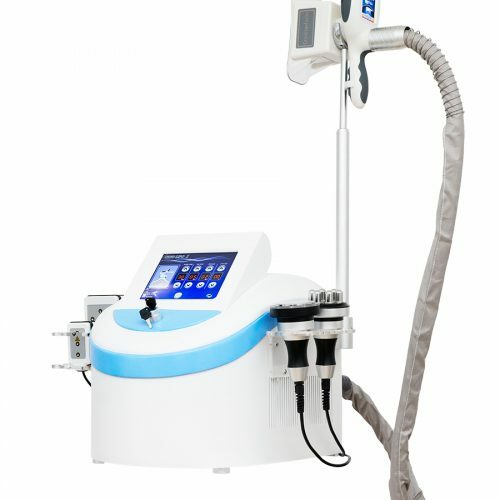 The device allows for quick treatments and, in addition, a completely painless treatment is guaranteed thanks to the unique cooling system. 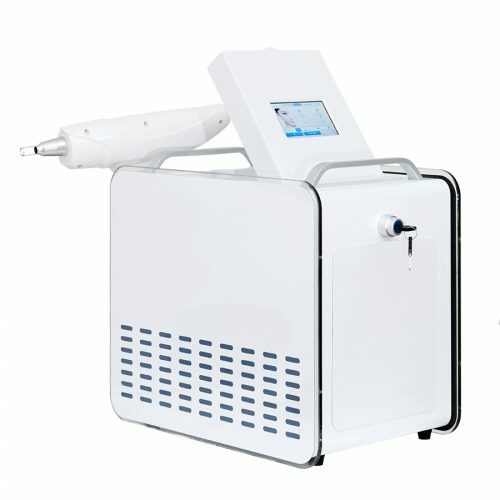 The Invictus diode laser is one of the top class epilation devices for permanent epilation, which was developed especially for beauty salons and esthetic clinics. 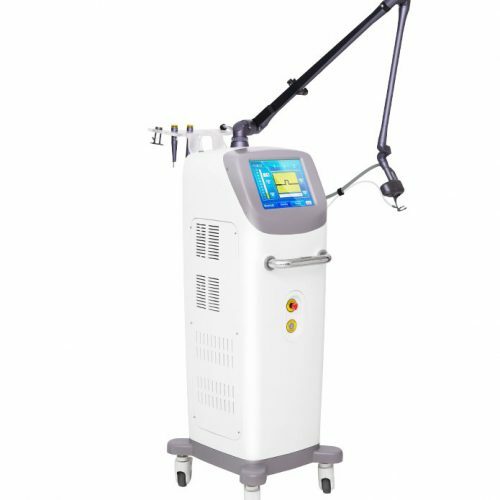 The diode laser we offer guarantees up to 98% efficacy and in this way the treatment can be carried out in a short time. The device is easy to use. For complete hair removal, up to 4 painless treatments can be used to remove unwanted hair and leave no mechanical damage to the skin. The laser beam has an ideal length of 808nm. The emitted wave is absorbed by melanin and the supplied laser energy is converted into heat, irreparably damaging the hair root. This leads to the inhibition of all cell divisions in the treated areas. 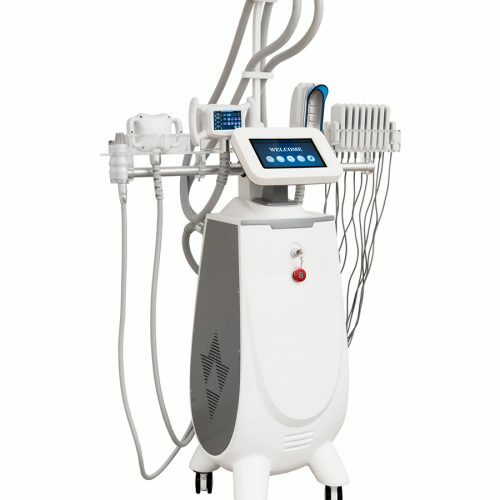 Only the Invictus diode laser guarantees a high efficiency of epilation and an above-average lifetime of 20 million images without the use of a gel primer, as is the case with competing lasers. 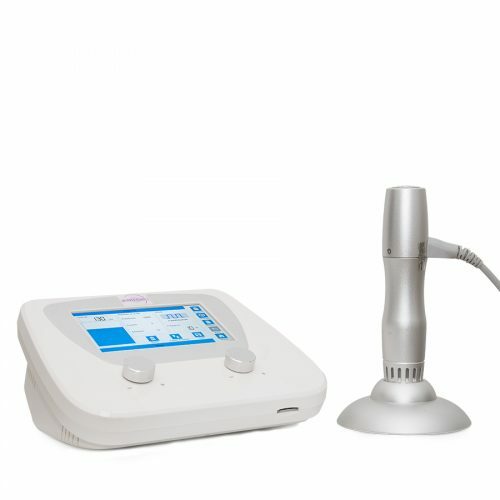 The MEDILASE diode laser is a device for demanding and professional use in the field of hair removal. The effectiveness of this device corresponds to 98%, as well as above average life of the treatments performed. The simple operation allows permanent epilation, already after 3 treatments. 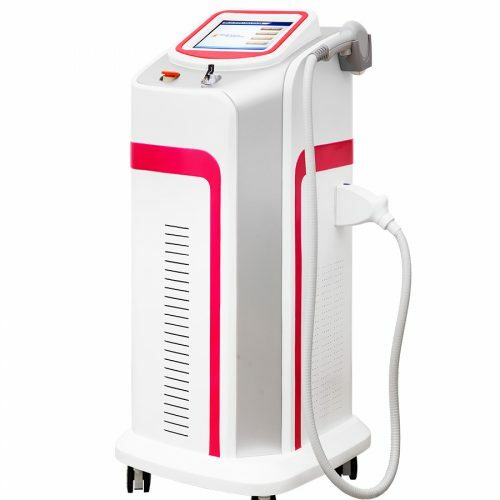 Diod laser characterized by wavelenght 808nm, is one of the most effective epilation lasers. Effects are visible after the first treatment. EPILASE laser treatments are painless and sustained. The 808nm length of wave provides the greatest efficiency in hair removal. An effective solution for unwanted hair, in areas such as the face, arms, armpits, chest, back, bikini and legs. 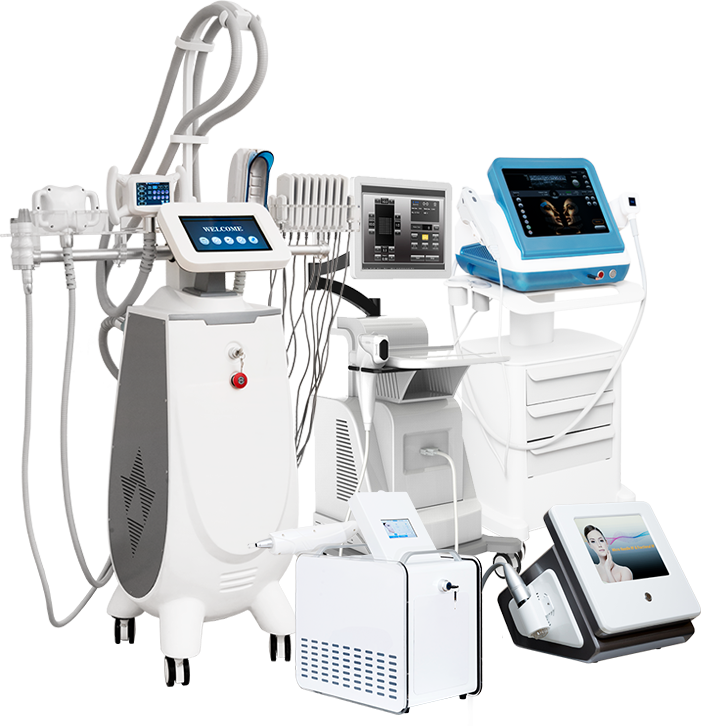 HI-SONIX is a great alternative to surgical procedures. HIFU offers the following treatment options, such as lifting, skin tension improvement and wrinkles reduction. Radio waves - reduction of fatty tissue and wrinkle removal The device reduces fat deposits and cellulitis by using an ultrasonic wave. The radio waves stimulate superficial tissue as well as deeper skin layers. 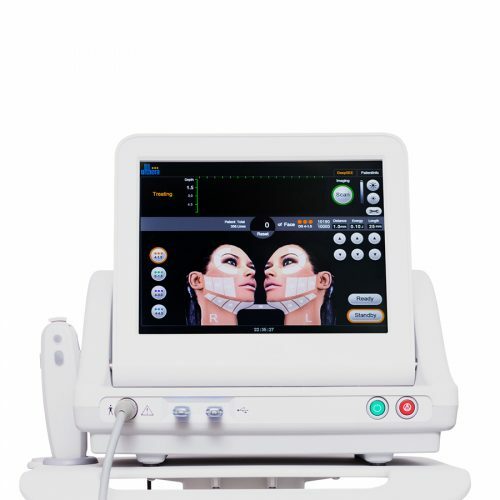 HIFU 3D Supreme is the latest and most advanced technology that is completely non-invasive. 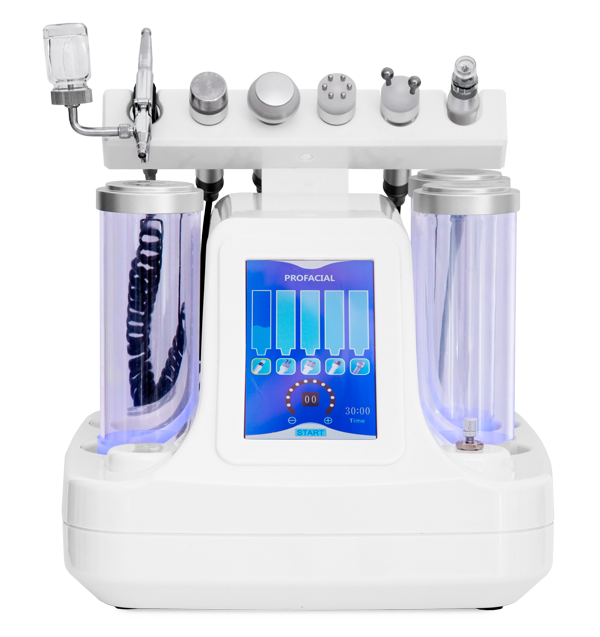 It acts like a scalpel which gives satisfactory results. Even the most demanding customers of aesthetic medicine and cosmetics are thrilled. The basis of trust between them and the customer is not only the knowledge and the professionalism, the empathy, but also the equipment with which you perform the treatment. This is the main reason why the choice of devices should be carefully chosen. As a company with many years of experience, we know what would be the best equipment for our customers. Since its inception, HIFU technology has aroused many positive emotions. It is particularly effective, painless for the patients, very effective and safe. It can be used on both the face and the body. Much speaks for the quality. Therefore, we do not rest on our successes, but want to be steadily better and are looking for even better solutions based on known and reliable methods, such as HIFU. 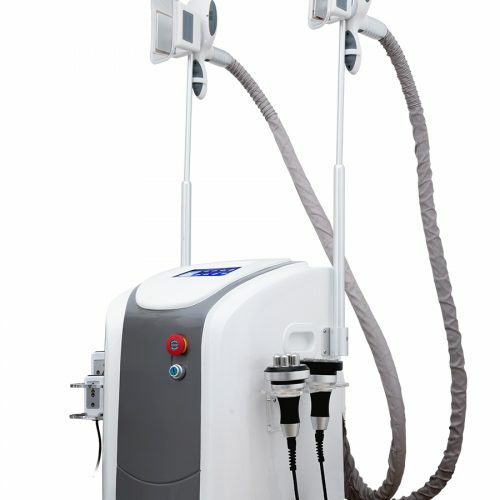 Endermomassage - Cryolipolysis - Lipo Laser Treatment - RF. 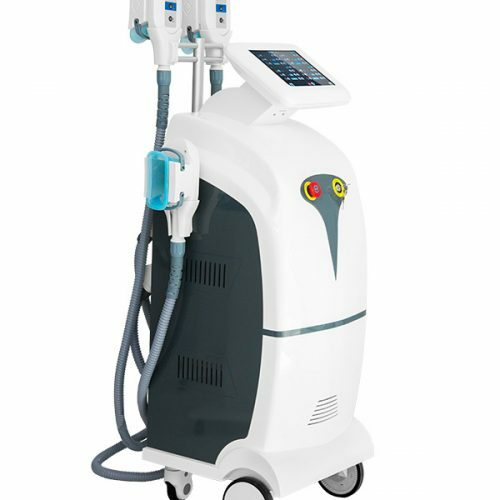 The combination of the most effective in the fight against cellulite, fat cells, skin flaccidity and other aesthetic defects. 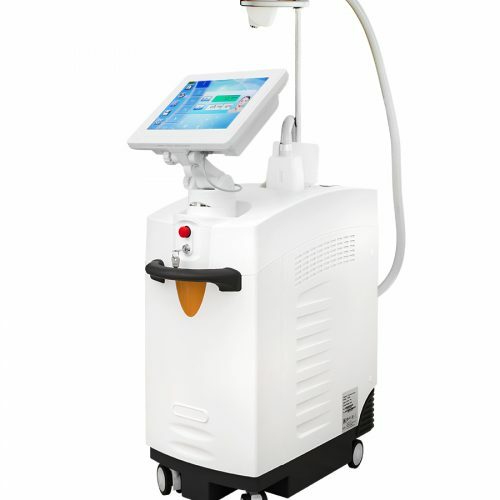 The best 980 nm diode laser Capilase used to remove the so-called effect. spider veins. The procedure of closing the vessels with a diode laser is the most recommended procedure that guarantees permanent and quick results. 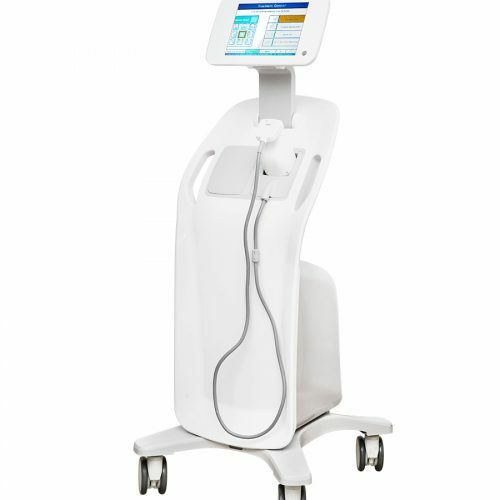 Shockwave treatment is a relatively new form of therapy for the elimination of cellulite. 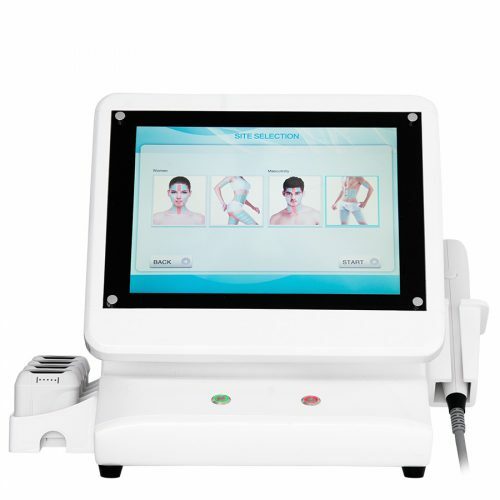 The affected skin areas are treated with high-energy pressure waves. 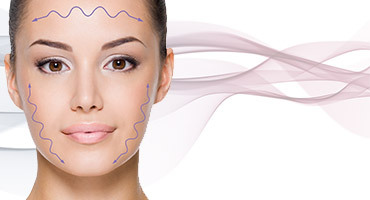 Shockwave therapy is a non-invasive method of skin tightening using concentrated acoustic waves. 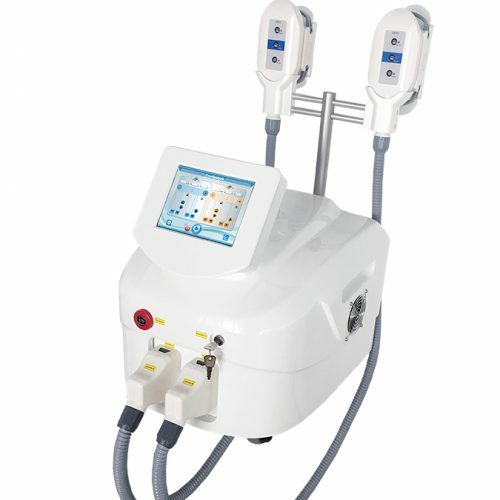 Nd-Yag Q-switch is a modern approach in removing tattoos and any pigmentation changes in the skin. The device removes the tattoo by emitting very short light pulses (nanoseconds) that are selectively absorbed by the tattoo dye. The laser can also be used for a carbon scrub. 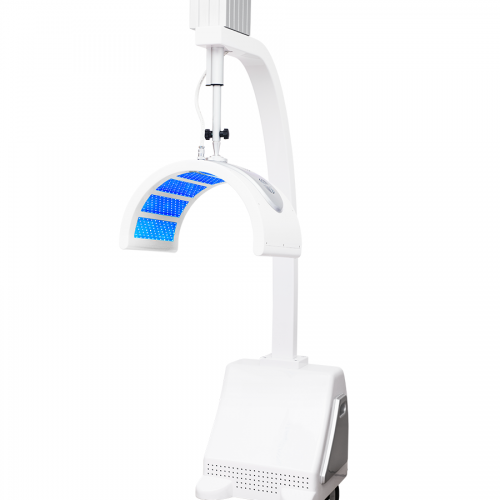 The device is equipped with 3 filters: 1064 and 532 nm, filter for carbon peeling. 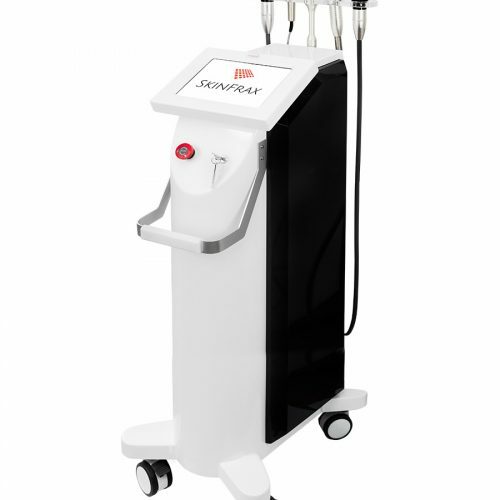 The fractionated CO2 laser is currently one of the most popular lasers among beauty salons and esthetic clinics. 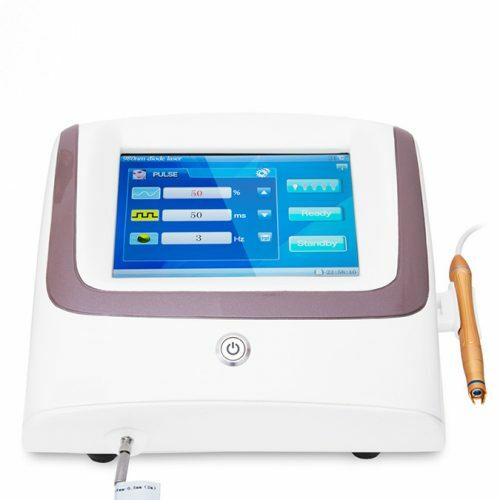 The device is used for skin regeneration, skin rejuvenation, stretch marks and scar removal. 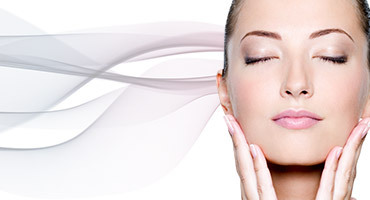 Fractional CO2 laser treatments rapidly improve the appearance of the skin and elasticity of the skin. The DERMAFRAX CO2 fractionated laser removes microscopically small areas of the skin, leaving behind untouched skin areas (so-called epidermis bridges). These are used for healing with delivery of keratinocytes and shorten the healing process. 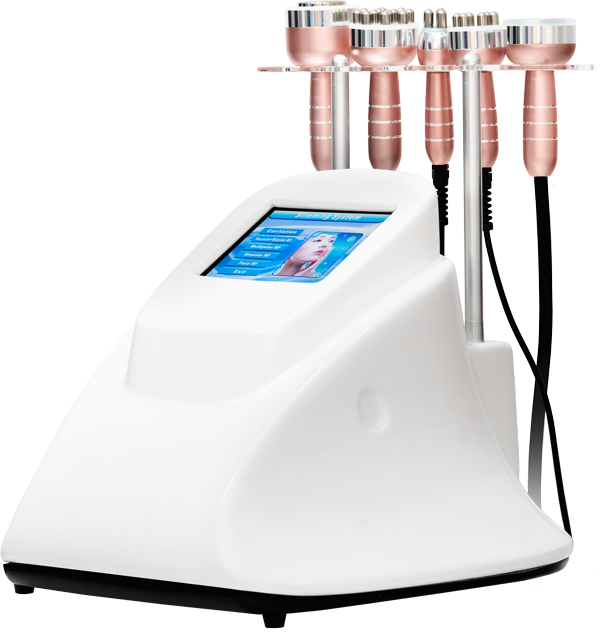 The CO2 laser has a thermal effect that promotes collagen stimulation in the deep skin layers (dermis). Lampty LED light PDT (LED light) is an electromagnetic wave, and perhaps this property makes it such amazingly effective therapeutic tool. Characteristic of the LED PDT (LED) lamp light is that the light energy emitted by the device has a low intensity of the order of thousandths of a millisecond, which is unlike the IPL or laser (emission energy in tens or hundreds of J / ms). ms) cause no tissue damage. CryoCell device uses a local, controlled cold-selectively factor to destroy fat cells without damaging surrounding tissue. The effects may be comparable to traditional liposuction procedures, but it is safer. 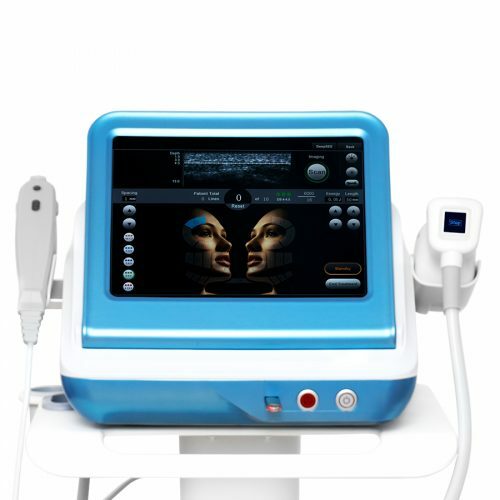 The device is designed to remove excess body fat, body contouring, toning and cellulite reduction. 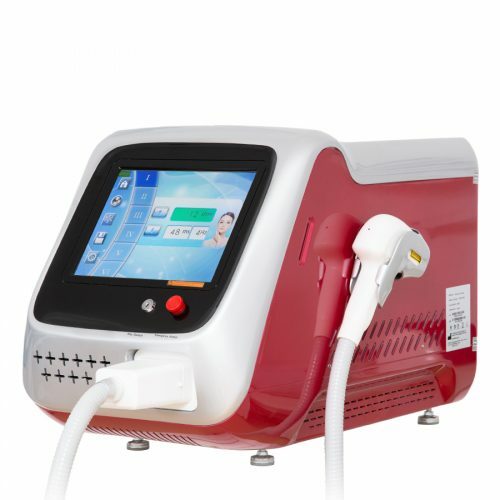 er ND-YAG XELIUM Q-Switch Laser ist einer der neusten Lasern auf dem Kosmetikmarkt, welcher bei der Entfernung von Tattoos, Permanent Make-Up und Hautverfärbungen eingesetzt werden kann. Das Gerät entfernt die Tattoos durch sehr kurze Lichtimpulse (Nanosekunden), die vom Tattoo Farbstoff selektiv absorbiert werden. Mit dem Laser ND-YAG XELIUM kann ebenfalls ein Carbon Laser Peeling durchgeführt werden. Wir bieten Schulungen auf höchstem Niveau für Sie und Ihr Personal an. Wenn Sie Ihr Wissen erweitern möchten oder vielleicht mehr Erfahrung in der Kosmetikbranche sammeln? Dann sind Sie bei uns genau richtig! Beauty Planet besitzt das größte Angebot an Einrichtungen und Ausstattung von Kosmetiksalons und ästhetischen Kliniken, die seit vielen Jahren in Polen und Europa vertrieben werden. Wir bieten eine große Auswahl an kosmetischen und medizinischen Geräten wie z.B. Diodenlaser, Kryolipolyse, ästhetische Medizin oder Permanent Make-up. Unsere angebotenen Geräte werden zahlreichen Tests unterzogen und auf diese Weise werden nur die besten Geräte ausgesucht. Darüber hinaus führen wir einen Vorführung Salon, der uns eine 100% Sicherheit gibt, dass unsere empfohlenen Produkte die beste Wahl für unsere Kunden sind. SWährend unserer langjähriger Tätigkeit haben wir im Laufe der Jahre Tausende von Kosmetiksalons mit erstklassigen Einrichtungen ausgestattet. Wir bieten eine breite Auswahl von Geräten an, so dass Sie die Möglichkeit haben, das beste Gerät im Hinblick auf Ihre finanziellen und praktischen Erwartungen in Ihrem Kosmetiksalon zu wählen. In unserem Sortiment bieten wir einen der besten Lasern zur dauerhaften Haarentfernung, professionelle Multifunktionsgeräte, Laser zur Versieglung der Blutgefäße, Laser zur Entfernung von Hautverfärbungen und Tattoos. Die Führung eines Kosmetiksalons ist eine sehr anspruchsvolle Beschäftigung, da man ständig mit den Trends Schritt halten muss, so dass der Kunde Nutzen von allen Neuheiten im Kosmetiksalon hat. Gegenüber Ihren Erwartungen kommt Ihnen das Team von Beauty Planet entgegen, welches die besten kosmetischen Geräte der kommenden Saisons empfehlen kann.